*Restore and Explore, Wonder and Wander Retreat! Please see our events calendar and contact us if you would like to attend an event. 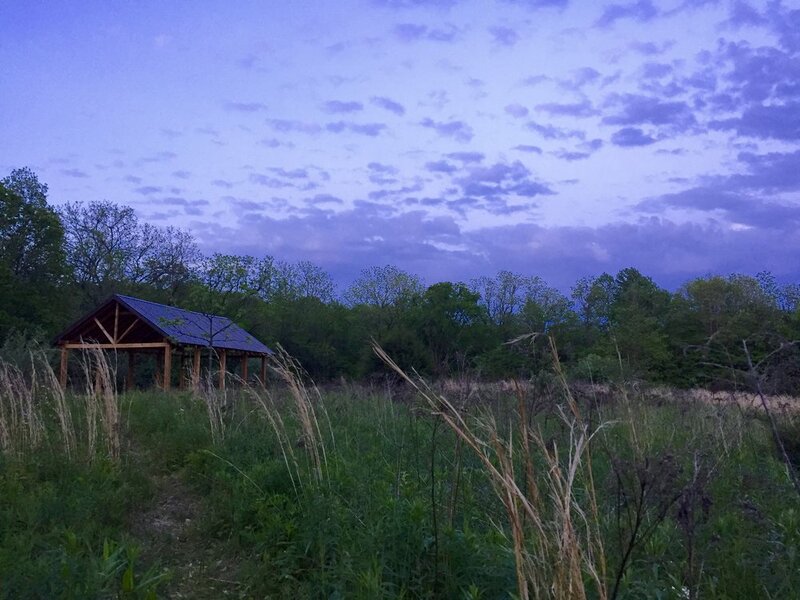 Sugar Creek Retreat yoga center is a facility that offers a 20x40 Yoga Pavilion, 3 private rooms and 2 bunk rooms for students (16 total). Each bunk can sleep 4 (8 total) and 2 of the 3 private rooms have a private full bath. The entire facility is surrounded by 2 State parks making the range of possibilities for yoga sessions unlimited. There are many serene spaces for students and teachers to practice including rivers, canyons, open fields, and old growth forest, all within just a few minutes walk. Since the facility is surrounded by Shades State Park and Pine Hills Nature preserve there are miles and miles of maintained hiking trails as well, allowing for your event to be customized with additional activities. There are three fully equipped kitchens for meal prep and storage so you can either cater your event or make your own. We, Gabe and Liza, specialize in nutrition and counseling in our professional lives and are SO glad to finally be able offer our years of experience to everyone at our facility. We also offer teacher and group pricing for large groups so if you are a teacher with a following, a scout group or a church retreat just looking for a place to host your own itinerary, we have the space. There is a 2 day minimum and extra days can be added per day. There is a 20x40 pavilion, a large meeting area deep in the trees that can be used as a teaching platform, tables and chairs, fully stocked kitchens for meal prep and beds and linens are provided.